Launched in collaboration with startup Alert Innovation, the service called Alphabot will work behind the scenes to make the process even easier by automatically bringing items from storage to associates who will consolidate the items in the order. For Walmart’s pickup associates, it means less time walking the store aisles in search of products and more time ensuring customers are getting the best in fresh produce, meats, etc. 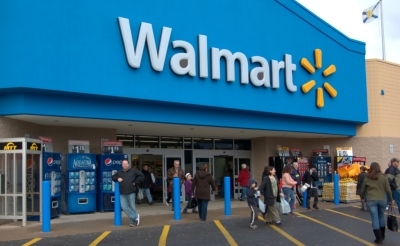 The Alphabot system, developed especially for Walmart, is being installed at its supercenter in Salem, New Hampshire, as a part of the store’s re-grand opening. A 20,000-square-foot extension connected to the store houses the new system and will serve as a dedicated grocery pickup point with drive-thru lanes for customers. When completed, automated mobile carts will retrieve ordered items – stored warehouse-style in this new space – then deliver them to associates at one of four pick stations. Personal shoppers will then pick, assemble and deliver orders to customers. The vast majority of grocery products offered in-store will be fulfilled through this system, though personal shoppers will still handpick produce and other fresh items.